This firmware is only for Xiaomi Mi6 Smartphone with Snapdragon 835 as CPU. You can now buy Xiaomi Mi6 Smartphone from Gearbest. Download MIUI 10 China Developer ROM Firmware for Xiaomi Mi6 Smartphone from here, here or here. 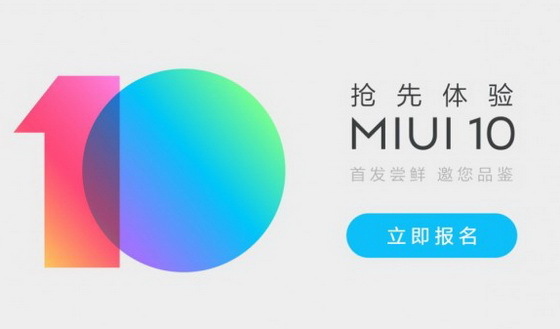 Download MIUI 8 Firmware for Xiaomi Mi6 Smartphone from here. 1. Please back up your important data before flashing. 2. The full package of the first version of MIUI 10 China ROM will be pushed to beta testers, please pay attention to the update notice on your device. 3. For China ROM testers and mods using China ROM, you will automatically get permission for MIUI 10 China Developer ROM. 4. The beta ROM is not perfect, there might be bugs. If you encounter any issue, please report it in the forum bugs subforum.